Do you find that your laundry is always pilling up? Here are some tips on how to tackle your laundry. Sometimes having more than one laundry basket in your home could help. Maybe having one for each colour could be too much, however, it could also help you e.g. 1 for ‘whites’; 1 for ‘dark’ and 1 for ‘coloured’. You may consider having a 4th basket or a hanging bag for clothes that need to be taken to the dry cleaners. This can be very time efficient in the long run. It is useful to have a dedicated area in your home where you can dry your clothes even if you do have a drying machine or if you like to hang your clothes outside on the washing line. After all, there is nothing more unsightly than seeing everyone’s underwear or sports gear hanging from radiators. If space is limited, or if you have a large family and you wish your drying to be less unsightly, why not consider installing a drying rack from the ceiling? For a more upcycled and rustic look, paint a small ladder and hang from the ceiling to act as a drying rack. Of course, you just tackle your laundry the regular way too and use the foldable ones to dry your clothes on. And place them away right after there use out of the way. It’s vital to have a good supply of hangers to hand as hanging clothes, such as T-shirt and shirt., When they come out of the washing machine, you can prevent them from being badly creased by hanging them straight away, this will save you some time spent on the ironing. Upcycle an old cupboard (not tall) and invest in some runners to hang plastic laundry baskets from – one labelled for each member of the family. Even better, if it has a flat top on which to do your folding and then pop it in the basket, for each member of the family to take to their rooms and tidy away. 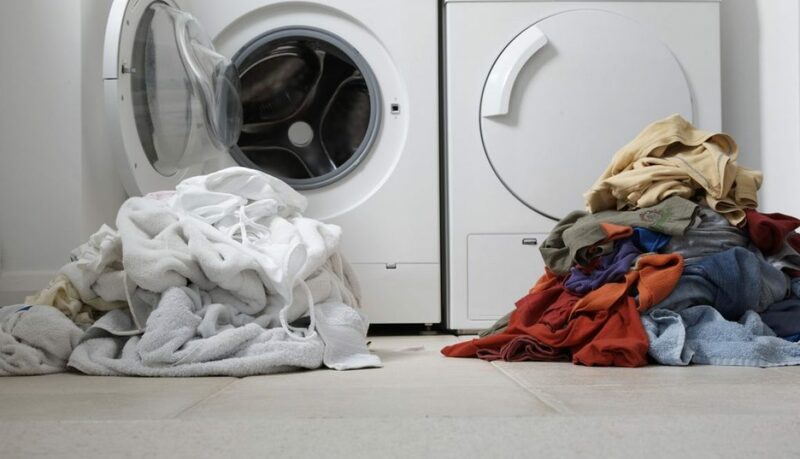 If you use a drying machine, don’t waste the fact that when clothes have finished their cycle, they are in a fit state to be folded and fold particularly well whilst still warm. Give them a good straight brush down with your hand and fold. This will save you plenty of time you would otherwise have spent ironing. The most efficient way of doing laundry is to keep on top of it. Creating a rota could be a great way to help you if you need some organisation, for example, a day of the week for the whites/ darks/ colours. Hopefully, this will reduce the last minute washing requests!. 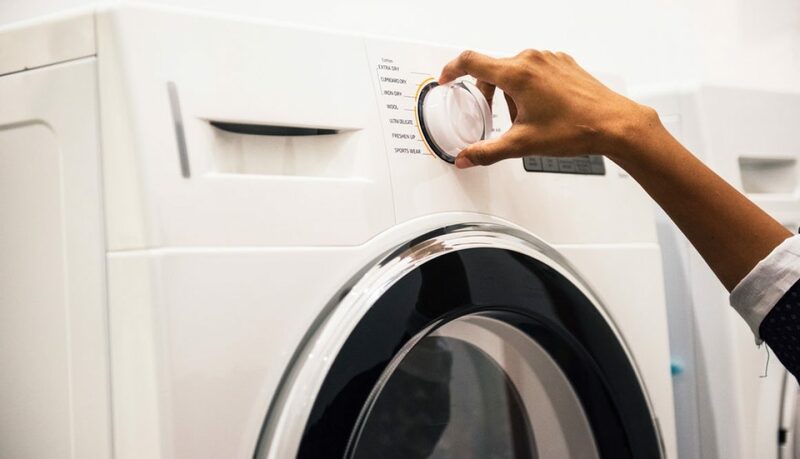 Of course, there will be times where you may need to do a certain colour more frequently and your washing will get full quicker but this could be beneficial. Then, pop the wash on before you leave in the morning and by the time you return, it won’t take you 5 mins to hang up once you know how and where you will dry the clothes. The clothes should be dry overnight for anyone needing them the next day.